3 Ainok Bond-Kin 2,- Foil! 4 Alabaster Kirin 2,- Foil! 6 Dazzling Ramparts 3,- Foil! 14 Jeskai Student 2,- Foil! 15 Kill Shot 2,- Foil! 16 Mardu Hateblade 2,- Foil! 17 Mardu Hordechief 2,- Foil! 20 Sage-Eye Harrier 2,- Foil! 21 Salt Road Patrol 2,- Foil! 34 Clever Impersonator 41,- Ikke på lager! 35 Crippling Chill 2,- Foil! 38 Dragon's Eye Savants 3,- Foil! 39 Embodiment of Spring 2,- Foil! 40 Force Away 2,- Foil! 42 Icy Blast 9,- Foil! 44 Jeskai Windscout 2,- Foil! 45 Kheru Spellsnatcher 9,- Foil! 46 Mistfire Weaver 3,- Foil! 48 Mystic of the Hidden Way 2,- Foil! 51 Riverwheel Aerialists 3,- Foil! 53 Scion of Glaciers 3,- Foil! 56 Stubborn Denial 9,- Ikke på lager! 58 Thousand Winds 9,- Foil! 61 Weave Fate 2,- Foil! 62 Wetland Sambar 2,- Foil! 65 Bitter Revelation 2,- Foil! 68 Debilitating Injury 2,- Foil! 71 Dutiful Return 2,- Foil! 72 Empty the Pits 18,- Foil! 74 Gurmag Swiftwing 3,- Foil! 75 Kheru Bloodsucker 3,- Foil! 76 Kheru Dreadmaw 2,- Foil! 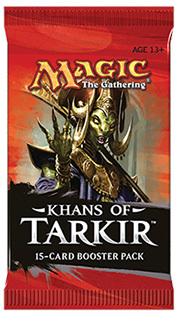 77 Krumar Bond-Kin 2,- Foil! 78 Mardu Skullhunter 2,- Foil! 86 Rite of the Serpent 2,- Foil! 87 Rotting Mastodon 2,- Foil! 89 Shambling Attendants 2,- Foil! 90 Sidisi's Pet 2,- Foil! 91 Sultai Scavenger 2,- Foil! 92 Swarm of Bloodflies 3,- Foil! 95 Act of Treason 2,- Foil! 96 Ainok Tracker 2,- Foil! 97 Arc Lightning 3,- Foil! 98 Arrow Storm 2,- Foil! 101 Bloodfire Expert 2,- Foil! 102 Bloodfire Mentor 2,- Foil! 103 Bring Low 2,- Foil! 105 Canyon Lurkers 2,- Foil! 108 Dragon-Style Twins 9,- Foil! 110 Horde Ambusher 3,- Foil! 111 Hordeling Outburst 5,- Ikke på lager! 113 Jeering Instigator 9,- Foil! 114 Leaping Master 2,- Foil! 115 Mardu Blazebringer 4,- Foil! 116 Mardu Heart-Piercer 3,- Foil! 117 Mardu Warshrieker 2,- Foil! 121 Summit Prowler 2,- Foil! 122 Swift Kick 2,- Foil! 124 Trumpet Blast 2,- Foil! 126 War-Name Aspirant 3,- Foil! 128 Archers' Parapet 2,- Foil! 135 Highland Game 2,- Foil! 136 Hooded Hydra 18,- Ikke på lager! 138 Incremental Growth 3,- Foil! 139 Kin-Tree Warden 2,- Foil! 141 Meandering Towershell 9,- Foil! 143 Pine Walker 3,- Foil! 145 Roar of Challenge 3,- Foil! 150 Seek the Horizon 3,- Foil! 151 Smoke Teller 2,- Foil! 153 Temur Charger 3,- Foil! 154 Trail of Mystery 9,- Foil! 155 Tusked Colossodon 2,- Foil! 158 Woolly Loxodon 2,- Foil! 159 Abomination of Gudul 2,- Foil! 163 Anafenza, the Foremost 24,- Ikke på lager! 165 Armament Corps 3,- Foil! 167 Bear's Companion 3,- Foil! 168 Butcher of the Horde 9,- Foil! 172 Death Frenzy 3,- Foil! 177 Highspire Mantis 3,- Foil! 180 Jeskai Ascendancy 9,- Foil! 182 Kheru Lich Lord 9,- Foil! 185 Mardu Ascendancy 9,- Foil! 198 Secret Plans 3,- Foil! 201 Snowhorn Rider 2,- Foil! 202 Sorin, Solemn Visitor 44,- Ikke på lager! 204 Sultai Charm 4,- Foil! 207 Temur Ascendancy 10,- Ikke på lager! 210 Utter End 14,- Ikke på lager! 215 Abzan Banner 2,- Foil! 216 Altar of the Brood 12,- Ikke på lager! 221 Heart-Piercer Bow 3,- Foil! 223 Lens of Clarity 2,- Foil! 224 Mardu Banner 2,- Foil! 226 Temur Banner 2,- Foil! 230 Bloodstained Mire 202,- Ikke på lager! 235 Jungle Hollow 2,- Foil! 242 Scoured Barrens 2,- Foil! 245 Tomb of the Spirit Dragon 4,- Ikke på lager! 257 Island 2,- Ikke på lager! 264 Mountain 2,- Ikke på lager!